“We are homeless, but not hopeless.” said proudly the youth representative of National Slum Dwellers Federation of Uganda (NSDFU), Jinja region, on the first day we met during an introductory section with the federation members. 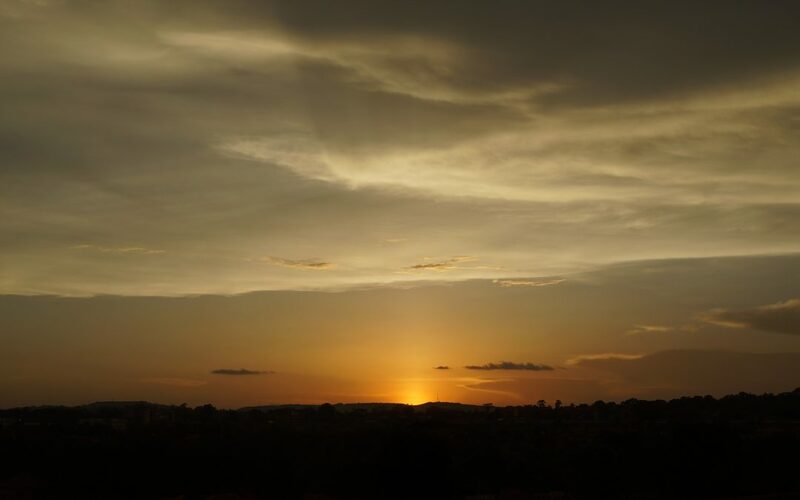 This marked the beginning of an unforgettable and inspiring 10-day fieldwork in Uganda – a highlight of my one-year International Development master’s programme. My pathway, Poverty, Inequality and Development, spent 8 days in Jinja, the second largest region in Uganda, and worked mainly with NSDFU-Jinja and its supporting national NGO, ACTogether. With their kind assistance, we carried out research on participation and empowerment in slum upgrading, focusing on four key strands of NSDFU’s work: enumeration and profiling, savings groups, projects and livelihoods. I was in the projects group, where we had the chance to visit 15 projects in the region. The most impressive concept I learnt was the idea of community contracting. Savings groups apply for project funding by drafting proposals for various types of projects, including sanitation units, water services and infrastructure. With the help of NSDFU, these proposals are sent to the Municipal Development Forum. A project with community contracting means that the construction work of the project is not done by external contractors hired by the council, but built by the community instead. We found three major benefits with this way of project implementation. Firstly, it makes better use of money. NSDFU-Jinja’s first project was the Lubaga Sanitation Unit, a building of toilets and shower rooms on the ground floor with a community hall on the first floor, which is being called the “mother project” of Jinja. The Jinja municipal council estimated the project to cost 77 million Ugandan shilling (approx. £15, 000) in its first budget plan. However, NSDFU succeeded in negotiating with the council, where they agreed to let the community do the construction work. Eventually just 47 million Ugandan shilling (approx. £9, 000) was spent, which saved nearly 40% of the original budget that can be used for other projects. 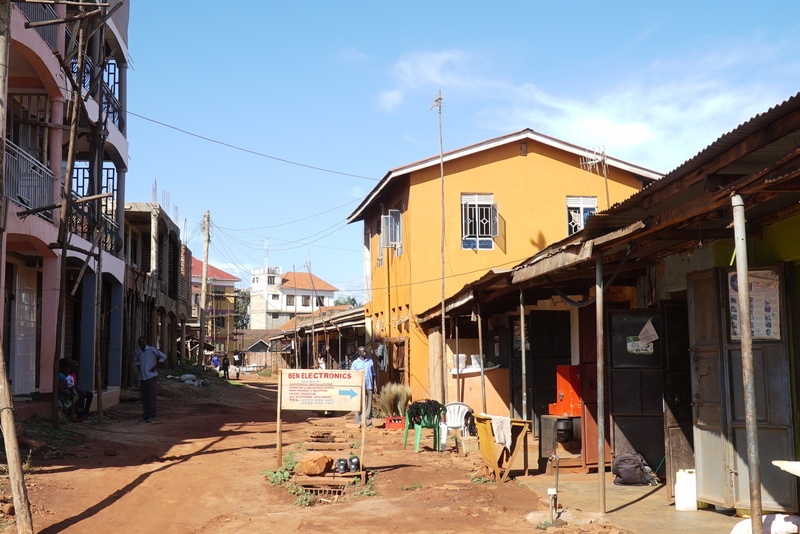 The “mother project” in Lubaga market (the two-storey building in orange). Secondly, community contracting ensures community ownership and the quality of the project. Among the 15 projects that we visited, just one is being counted as a “failed” project. 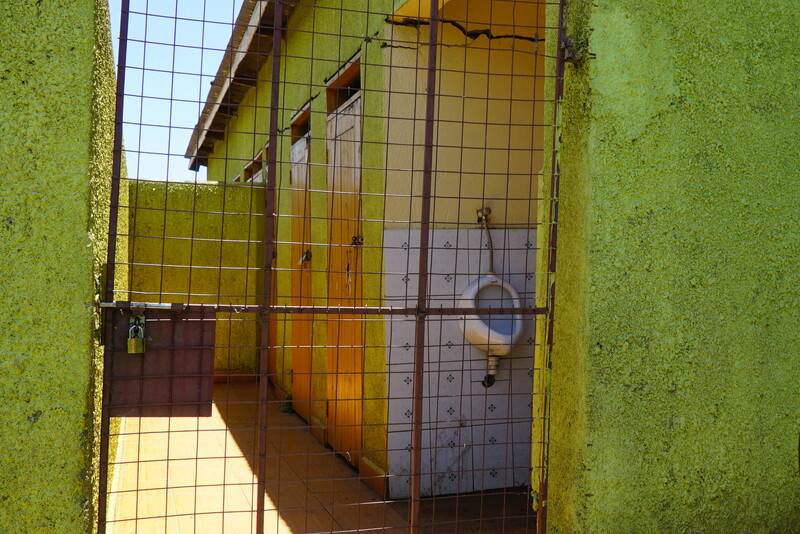 It is a sanitation unit in the Rippon landing site market, which was built by contractors hired by the council. The unit was built to solve the unsatisfactory hygiene conditions experienced by the community. However, due to poor design, the flush system is not working and the structure also started to crack. People do not dare to and cannot use the facility. Despite 5 years of complaints from the savings group, nothing has changed. The private contractors’ commitment to the project ended after they were paid, holding no responsibility to fix it. In other projects that were constructed by the community, people often claim that “we own the project”. Not only did community contracting cultivate a sense of ownership, the structures were also built with extra care, as the community contractors were the one who were going to use it. When there is a problem, they can also fix it immediately themselves. The “failed” project in Rippon landing site market, built with 67 million Ugandan shilling (approx. £13, 000) but not functioning. Last but not least, community contracting helps the community to build capacity, which contributes to the sustainable development of their livelihoods. During the construction, people involved are trained with skills that can be used elsewhere. NSDFU provides certificates for those who have been trained, which can strengthen their applications for further education in vocational institutes or jobs. A member told us that more than 90% of the people who helped with the construction process are employed for other construction work in Jinja or even outside of the region. Moreover, those who gained skills in the projects help training others in the community, benefiting the whole community eventually. Processes of slum upgrading and poverty reduction may seem to be never-ending, but as the youth representative said, we shall never lose hope. It may be a slow and long process, but with inspiring methods like community contracting, we see the potential for long-term improvement in slum dwellers’ livelihoods. It may take time, but it will be worth it.